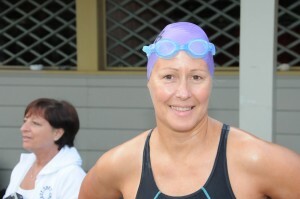 I had hoped for an 11 hour or so training swim – but it was not to be. 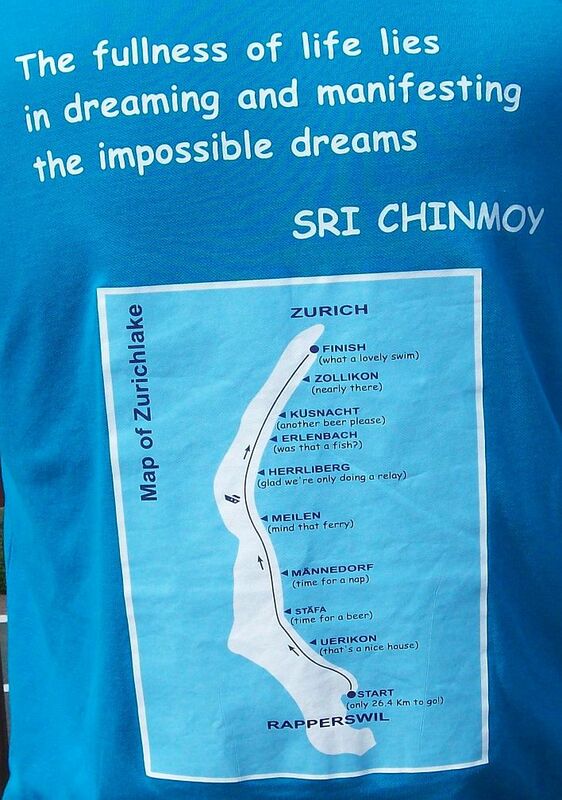 I had joked with Nick Adams who had sent good wishes to all the swimmers that the Zurich Lake is only like a “big bath tub” (that was the feeling when I swam it after the Channel) – mostly pretty calm, except for the end which is more open and often quite windy and lumpy – great to power through to the finish. With scenic green and hilly shores left and right it feels quite protected – as opposed to Channel vastness and dynamics. This time, however, the Lake seemed intent on showing us it was not a bathtub! After a serene and beautiful Saturday evening the early Sunday morning was still calm but cloudy, after 2 hours or so the sun came out – like on a normal Zurich lake swim day (we had mostly been very lucky with the weather). Soon, however, the rain started – good if helpers had thought of some kind of protection, no problem for the swimmer of course. Then the wind came. Luckily from behind – otherwise rowers would be in more trouble than the swimmers. One time only the swim had to be stopped due to strong headwinds. Swimming in the waves is actually much more fun than in just flat water, at least in the Zurich lake, and even more so when the waves are pushing you. At the same time the lake had cooled off considerably – from 25°C over the last weeks down to around 19°C in the beginning – good for Channel training! Maybe it was due to the intense training weekend in Dover only a week before – but I did not feel the joy I expected, and I even felt chilly at times. I rather had to work and concentrate. Not that it was really difficult or hard, but I was waiting for the joy of swimming to come – and Meilen to appear! 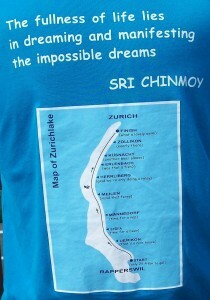 When we reached the halfway point at Meilen under 5 hours and the ferry after only 5 hours 20 I was happy and amazed! Was it the wind or the training and more kicking or everything combined? The last open patch was the best, like so often – others loathe it, because it seems endless, but if you know it and are prepared you can enjoy it. There is no “wicked French current” to drive you away from the finish – just a tiny wicked Swiss current, but everyone can cut through that, with a bit of patience. The sun came out for us again, while the slower swimmers – and crews – were up for some torrential rain alternating with the sun only a little later, just when I had made it into the warm shower! The feeling of swimming in the vastness and ploughing through the waves was swimmer’s delight, and near the finish the wind even subsided, very unusual. I was going as fast as I could – sprinting would be the wrong word -, remembering our Channel relay with Eddie on Anastasia last year, where Eddie had told me to go FAST in the 10th hour to use the tide as much as possible – and then France was so near! To finish under 10 hours now would be a dream I did not really expect to come true, 10 hours would still be fine – but when I finally touched the finish line, the clock showed 9:48 – unbelievable! Last time, in 2007, it had taken me 11 hours 20! The icing on the cake was the delicious food afterwards (actually a good reason to swim fast!) – spicy tofu, salads, pancakes, deserts – you name it – and a long overdue extended massage, so that my arms and shoulders felt like new the next day. 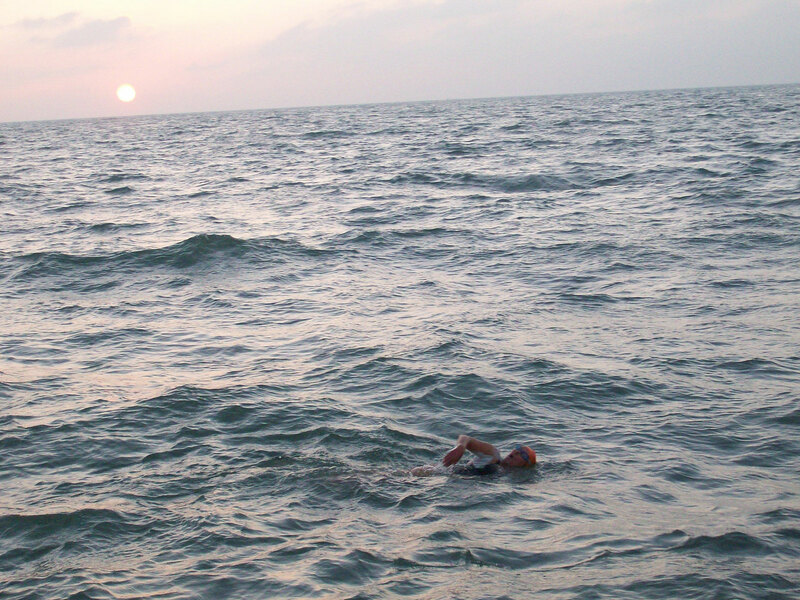 Julie Galloway, Channel swimmer from Ireland, had finished in an amazing 6 hours 35 min. – faster than the boys. Even the wetsuit category was only 1 min 34 sec. faster! Abhejali, team member of our Channel relay 2009 from Czech Republic, finished in a very good 8:28 – with very little training and even less weight than in 2009, amazing! Bit of a British-Irish invasion again (Cork, Serpentine), with some Australians – 12 nations in all. No Indians, however – they had probably registered too late! August 13th, the day Karteek completed his 10th Channel crossing in 16 h 49 min, Julianne Galloway from Dublin, Ireland, “blasted” across the Channel in the fastest time for a woman’s solo this year so far: 9 hours 51. Start: 2:20 a.m.
Getting closer – or what?